Premiered: September 13th, 1999 at Toronto International Film Festival, in U.S. theaters on January 21st, 2000. Alice Goodwin (Sigourney Weaver) lives with her husband (David Strathairn) and children on a Wisconsin farm, where her outspoken ways have caused her to become isolated from much of the local community. Her only real friend is Theresa (Julianne Moore), and the two women regularly babysit each other’s kids; but when Theresa’s daughter accidentally drowns one day while in Alice’s care, even that friendship reaches an end. When a local boy then falsely accuses Alice of molesting him, she is arrested and sent to jail, and her family begins to fall apart under the pressure. Chloë Sevigny appears in the film in a supporting role as Carole Mackessy. 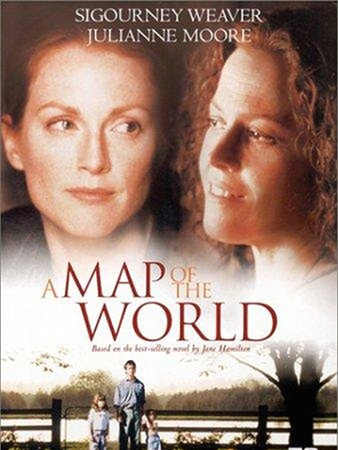 A Map of the World received generally favorable reviews, but was unable to reach a wider audience upon its January 2000 theatrical release. Sigourney Weaver was particularly commended for her lead performance and received a Golden Globe nomination for her work, but the film was also criticized for its uneven storytelling and bleak mood which probably hampered its commercial success. A Map of the World has received 4 awards and 5 award nominations. Below are some A Map of the World-related links that may be of interest to you.